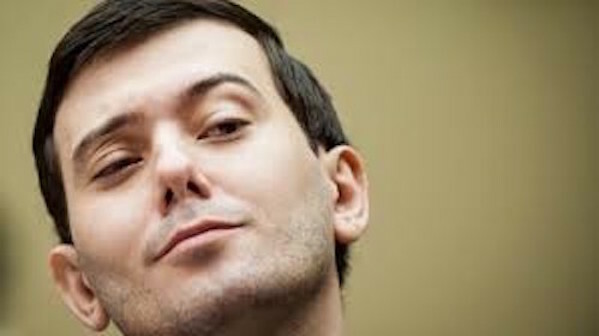 The poster child of capitalism, Martin Shkreli was shafted this week with a 7-year prison sentence. The guy had hubris, and the system was unwilling to accept this from someone outside the sacred circle. He was rewarded for his acumen by a corrupt justice system more villainous than he is. Capitalism uses fear, coercion and/or impending death, (check out Shkreli’s business model,) to extract value from society. The whole system, you name it, it doesn't matter how organized, is dependent on its slave masses to exist. From the beginning of recorded history always the same story, communism, socialism, democracy, oligarchy, plutocracy, monarchy. These systems encourage industry, subsidize it, whether wisely or desperately. The U.S. supports companies that are no longer relevant and should have been allowed to collapse on their own. The slaves attempt to fit into this system as best they can. Some trained for careers in industries that then perished. Many other workers are not needed and have to fend for themselves. You see them on the streets with shopping carts looking for empties. The idea, always for slaves, is to get ahold of as much of the corpulent, bloated system's capital as they can. At present in our "democracy", this battle between the elites and the slaves has never been so palpable. The rich people are fighting tooth and nail to keep their game going. They want to go back to the good times where they called the shots and it all worked. It's not going to happen, and it’s not because slaves aren't being responsible for themselves and refusing to tow the line, the freeloaders as some would have it. They, whose work entails that they resent others not willing or able to be similarly employed. They point their hateful finger at any who are not as constrained as they are to score virtue signaling points about their own perfect life. They look to Trump as the new savior. We can’t go back. Systems become corrupt and need renewal periodically. It's human nature. As a slave you have to weigh how much you get in return for what you are putting in. The state as it stands now has very little obligation to its masses. Let them eat cake, the deplorables. If the price we pay for our capitalist system is such that the whole of it from top to bottom is based on corruption I'd say the price is too high.